The rich think about money a little differently. Here's how you can capitalize on what they know. At times, rich people seem to inhabit another world, one apart from the financial concerns of the hard-working middle class. 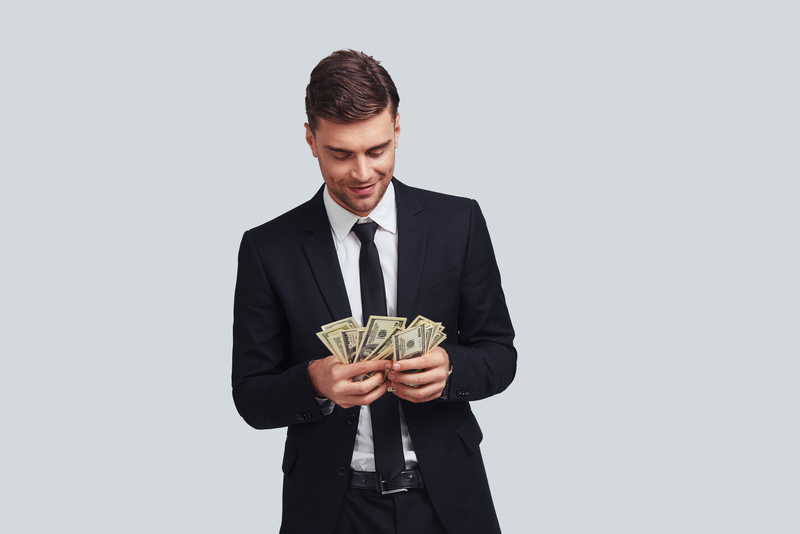 Many speculate that there's a secret to joining the ranks of the elite, often involving an inheritance from a wealthy relative or a multibillion-dollar idea. But the truth is, it usually comes down to drive and smart financial planning. These aren't exactly secrets, but they're often what separate the wealthy from the wishful thinkers, and they're often overlooked. Here are four of the "secrets" that can help any worker grow their net worth. Conventional wisdom says that you must get a job and work hard to build wealth. There's truth in that, but if your only means of income involves trading time for money, then your income potential is limited by the number of hours in a work week. The wealthy know that making money doesn't always require hard work, and they take every opportunity to generate new sources of passive income. Passive income can come from several sources, including rental properties, royalties on creative works, or investing. You don't need a lot of money to start investing, but it's important to keep your portfolio diversified so you don't expose yourself to too much risk. Don't try to time the market by selling when you think it's at a peak or buying when you think it's at rock-bottom. That approach is almost guaranteed to lose you money. You're better off buying quality investments and holding them for the long term. It's important to understand the costs associated with all of your passive income streams. For example, if you run several rental properties, there may be maintenance costs that eat into your profit. Similarly, when you invest, there may be costs associated with your investment products, like fees for each trade or expense ratios on mutual funds. Try to keep these low to help maximize your profits. Index funds are a great choice for investors who want a cheap way to diversify their portfolio and earn substantial returns. Most people think the rich live lavish lifestyles, and while some of them do, many of the wealthy got where they are by living frugally and investing a big portion of their earnings. Oracle of Omaha Warren Buffett still lives in the home he bought in 1958 for $31,500, and Amazon CEO Jeff Bezos -- currently the richest man in the world -- still drove his old Honda Accord for years after becoming a billionaire. It can be difficult to avoid the temptation to spend beyond your means, but it's crucial that you resist. Otherwise, you could find yourself in debt, which will hamper your ability to save for the future even more. Set a budget for yourself, if you haven't already, and strive to set aside at least 20% of your income for savings whenever possible. When you get a raise, raise your monthly savings amount before doing anything else. And if you're already in debt, take steps to pay it down. A balance transfer card is a nice option for tackling credit card debt. You could also try a personal loan. When it comes to investing, your most valuable asset is time. Money you contribute earlier in your life is more valuable than money you contribute later, thanks to compound interest. At first, you’ll just earn interest on your initial contributions, but over time, you'll also begin to earn interest on your interest, helping your balance grow much faster. Consider this: If you invested $10,000 when you were 25, it would be worth over $217,000 by the time you turned 65, assuming an 8% annual rate of return. But if you waited 10 years to invest that $10,000, it would only be worth $101,000 in the end. Even if you can't afford to invest much money today, your small contributions could still grow into a large sum over time, so you're better off starting now rather than waiting until later. Automate your investments whenever possible so that you don't have to worry about remembering to set aside the money on your own every month. Wealthy people don't always know the most about finances or investing, but they do understand the value of expert advice from a professional. While some people might balk at the cost of hiring a financial adviser to manage their money, the wealthy understand that, with an adviser's help, their money could grow faster than it would if they were managing it on their own. A financial adviser may be able to suggest investments and strategies that you hadn't considered to achieve your financial goals more quickly. It's crucial that you choose a fee-only adviser, though. Unlike fee-based advisers, fee-only advisers don't earn commissions on the investment products they sell to you, so you don't have to worry about any potential conflicts of interest. Wealth rarely comes overnight, but by being responsible with your money, seeking out new and greater sources of income, and asking for help when you need it, you can steadily grow your net worth over time.